We are pioneers in offering ourPharma and surgical useCap line to health-care industries. Among our various offerings we offer range of caps to the health-care industries. 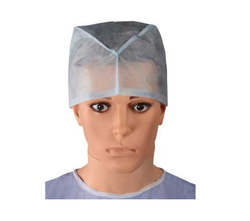 Our range features Surgeon Cap, Nurse Cap, Bouffant Cap, Plastic Cap, Surgical Cap, Bouffant Cap and many more similar products. These are fabricated with by using of fine quality raw materials to make these cap light weighted and comfortable to wear. 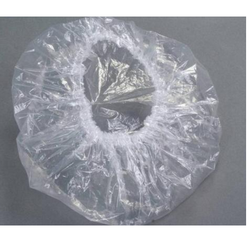 Our processed Surgical Cap is highly appreciated by clients for giving best protection top hair fall while doing the operation. Offered products are softer and flexible in nature. This cap is made and quality checked by fabric experts by meeting all quality phases in processing to make sure best performance. Available in ideal sizes our entire cap range is easy to use and offered with tear resistance feature. Facilitated by our team of experts in the domain, we the leading Bouffant Cap. These are manufactured using PP Spun bond as a raw material. Use of PP Spun bond ensures that cap is light weighted, but at par international standards in this domain. 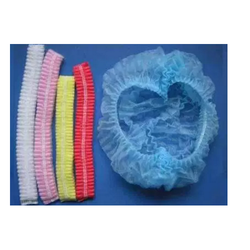 Our organization is delicately engaged in offering a commendable range of Shower Cap to our valued customers. 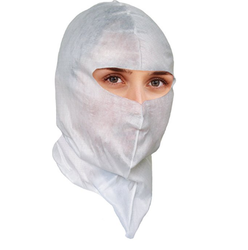 Our clients can avail from us a high-quality assortment of high-quality Hood Cap. Our range is widely demanded by the clients in Healthcare, hospitality and household segments, due to its waterproof and durable nature. The offered Caps are strictly tested after their production to meet the international standards by our quality controllers. We make available these at market leading prices. Looking for Cap for Pharma and surgical use ?